Schatzbehalter der wahren Reichtümer des Heils. Nuremberg : Anton Koberger, 8 Nov. 1491. GW records the date as 18 Nov. 1492 in error. 96 woodcuts by Michael Wohlgemut. By Stephan Fridolin, O.F.M. (GW). Checklist author name form: Stephan, Pater. ISTC note: 1 Stillman dep. 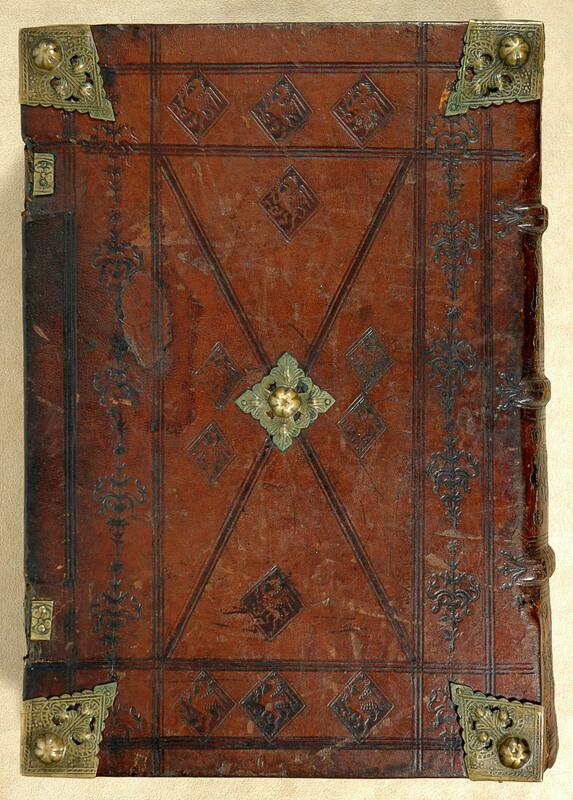 Contemporary German binding, dark-brown blind-stamped sheepskin (?) 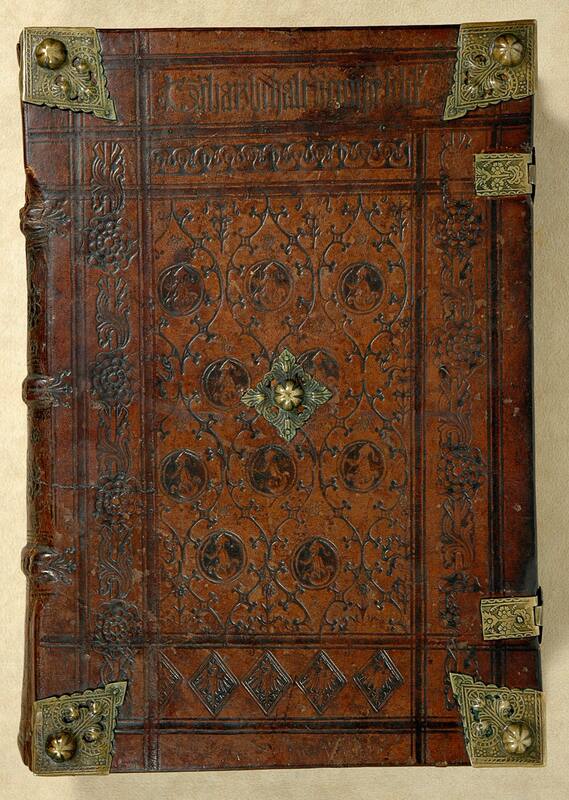 over wooden boards, with hardware, title in blind at top of upper cover, probably bound in Augsburg (Kyriss 88). EDBD w001516, in the Einbanddatenbank online (consulted June 17, 2010).